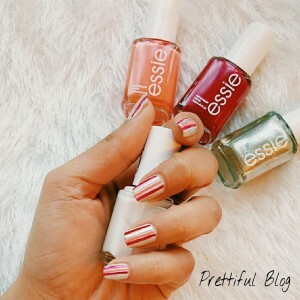 Today I would like to introduce you to one of the most exciting nail launches of the year! 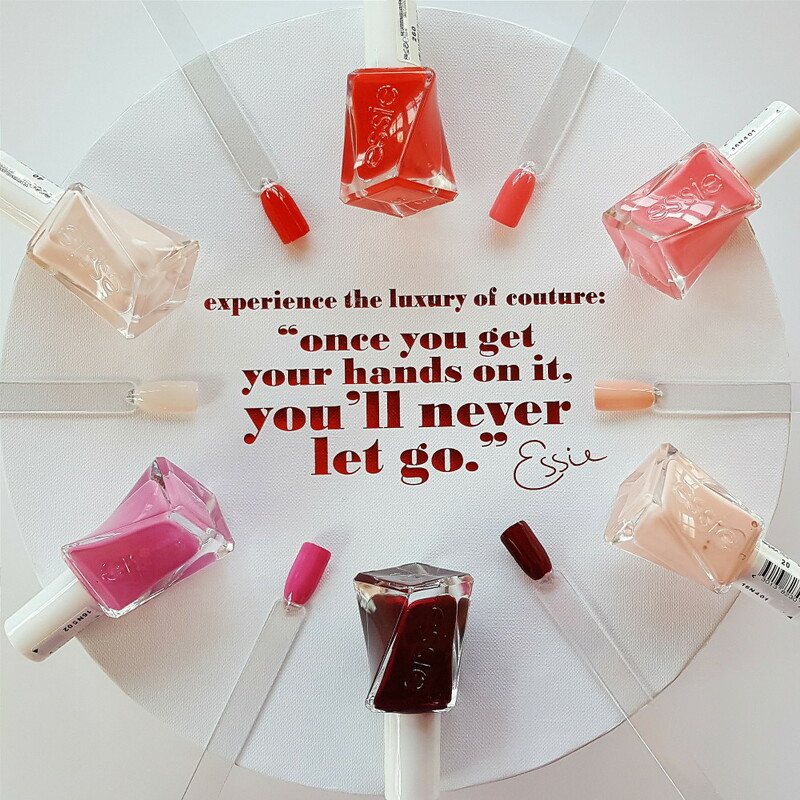 essie Gel Couture… Experience the Luxury of Couture on your Nails! 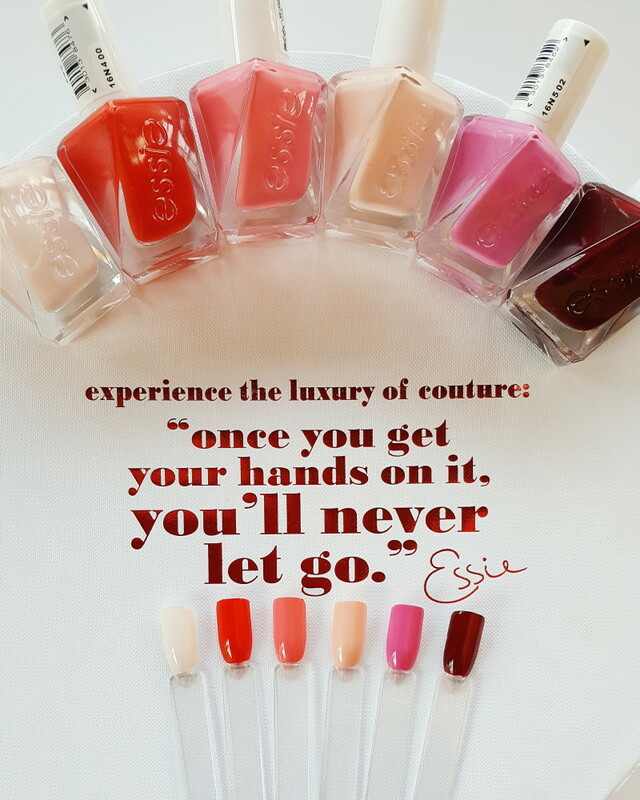 There are 21 shades in this collection, from brights and pastels to nudes and dark vampy shades, essie has you covered. There is also the top coat which needs to be used over the colour. I received 6 shades to try out, and I was impressed with the pigmentation, glossiness and the longevity. The thing I loved most though is the drying time, it was literally dry to the touch in about 20 minutes. Although it is dry to the touch , and won’t smudge with light touch, it still needs a bit more time to dry fully. I tried to open a makeup compact about an hour later, and unfortunately my thumb smudged a bit. Aside from the stunning twisty shape bottle which was inspired by the swirl of a couture gown, the brush also has a swirl-stem for perfect application, and to minimise dripping. The brush tip also had a bit of a makeover, as it is wider and tapered and it hugs the nail perfectly when applying. L-R: Fairy Tailor, Flashed, Signature Smile, Spool Me Over, Model Citizen and Spiked with Style. I chose Signature Smile to put to the test. Below is three coats of colour, with the top coat. How glossy and pigmented is it??? Below is 10 days later… There is slight fading along the edges, but nothing major, and I think you could push it to another 2 or 3 days before they need to be removed. The colour is slightly duller, but that is not a deal breaker for me after 10 days of wear! 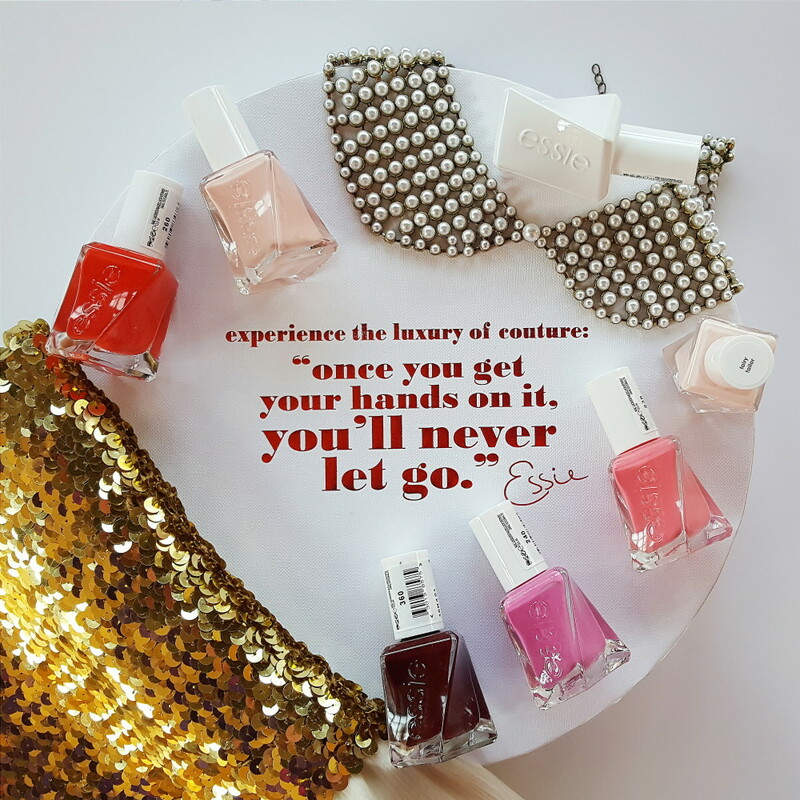 No UV lamp, no soak-off, just you and Couture at home on your Nails! All in all, I am impressed! There are a couple of other shades I have my eye on too. 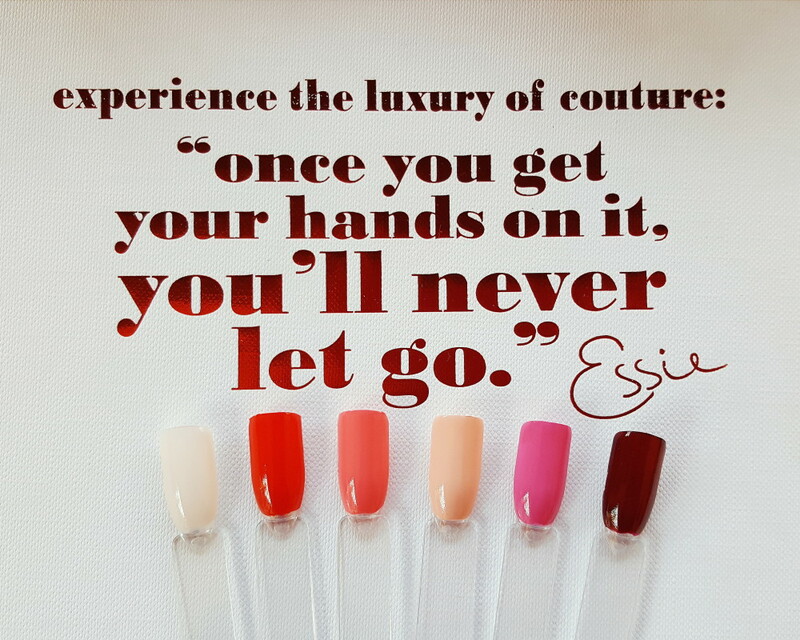 And, the quote is right… Once you get your hands on it, you’ll never let go. 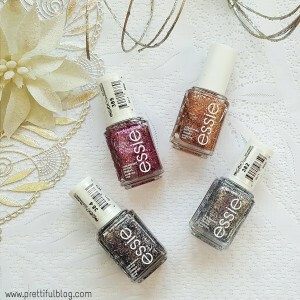 The colours retail for R169,95 and the top coat for R179,95. Although, I have seen the colours at Dischem for R159,95 and the top coat for R165. Gorgeous. The colour remind me of Essence Indian Summer. The bottle is gorgeous ? ?